Colleen R. LaRose is an American citizen and a convicted Islamic extremist. Between 2008 and 2009, LaRose served as an online recruiter and fundraiser for an Ireland-based al-Qaeda cell from her home in Pennsylvania.“United States of America v. Colleen R. LaRose a/k/a ‘Fatima LaRose’ a/k/a ‘JihadJane’,” United States District Court for the Easter District of Pennsylvania, January 28, 2011, 4. In August of 2009, she traveled to Ireland to live with the cell members and to plan the assassination of Swedish cartoonist Lars Vilks. According to the U.S. Department of Justice, LaRose agreed to kill Vilks—who had previously depicted the Islamic prophet Muhammad as a dog—in such a way that would frighten “the whole Kufar [nonbeliever] world.”“Pennsylvania Woman Indicted in Plot to Recruit Violent Jihadist Fighters and to Commit Murder Overseas,” U.S. Department of Justice, March 9, 2010, https://www.justice.gov/opa/pr/pennsylvania-woman-indicted-plot-recruit-violent-jihadist-fighters-and-commit-murder-overseas. LaRose lived in Ireland for approximately six weeks before she “grew frustrated” with the slow pace of her fellow cell members and returned to the United States, according to the Assistant U.S. Attorney. She was arrested by the FBI in October 2009.“United States of America v. Colleen R. LaRose a/k/a ‘Fatima LaRose’ a/k/a ‘JihadJane’,” United States District Court for the Eastern District of Pennsylvania, December 30, 2013, 5. LaRose pled guilty to four terrorism-related charges in February 2011,“United States of America v. Colleen R. LaRose a/k/a ‘Fatima LaRose’ a/k/a ‘JihadJane’,” United States District Court for the Eastern District of Pennsylvania, December 30, 2013, 6. and authorities sentenced her to 10 years in prison in January 2014.John Shiffman, “U.S. woman known as Jihad Jane sentenced to 10 years in plot,” Reuters, January 6, 2014, http://www.reuters.com/article/us-usa-jihadjane-idUSBREA050PC20140106. “Anwar al-Awlaki, Counter Extremism Project, January 2016, http://www.counterextremism.com/sites/default/themes/bricktheme/stylesheets/images/disruption/CEP_Report_Anwar_al-Awlaki.pdf. LaRose was allegedly listed as a “friend” on a YouTube channel of Awlaki’s sermons.Steve Emerson, “Web Weaves Evidence Against ‘Jihad Jane’,” Newsmax, March 10, 2010, http://www.newsmax.com/t/finance/article/352269. John Burns, “Irish Town Puzzled by Role in Investigation,” New York Times, March 19, 2010, http://www.nytimes.com/2010/03/20/world/europe/20ireland.html?ref=topics&_r=0. Her co-conspirators reportedly viewed LaRose as an asset because of her physical attributes as well as her gender and American citizenship.“Pennsylvania Woman Indicted in Plot to Recruit Violent Jihadist Fighters and to Commit Murder Overseas,” U.S. Department of Justice, March 9, 2010, https://www.justice.gov/opa/pr/pennsylvania-woman-indicted-plot-recruit-violent-jihadist-fighters-and-commit-murder-overseas. Upon her departure to Ireland in August 2009, LaRose brought with her a stolen American passport to “facilitate an act of international terrorism,” according to her guilty plea. She reportedly intended to provide a co-conspirator with the passport in order to help him enter Europe.“United States of America v. Colleen R. LaRose a/k/a ‘Fatima LaRose’ a/k/a ‘JihadJane’,” United States District Court for the Eastern District of Pennsylvania, December 30, 2013, 6; “United States of America v. Colleen R. LaRose a/k/a ‘Fatima LaRose’ a/k/a ‘JihadJane’,” United States District Court for the Eastern District of Pennsylvania, January 28, 2011, 6. LaRose also sought to gain residency status in a European country, and to then marry a fellow extremist in order to ease his path to EU citizenship.“United States of America v. Colleen R. LaRose a/k/a ‘Fatima LaRose’ a/k/a ‘JihadJane’,” United States District Court for the Eastern District of Pennsylvania, March 4, 2010, 4. “US woman who plotted to kill Swedish cartoonist sentenced to 10 years,” AlJazeera America, January 6, 2014, http://america.aljazeera.com/articles/2014/1/6/us-woman-who-plottedtokillswedishcartoonistsentencedto10years.html. Her assistance to authorities provided Irish officials with enough evidence to arrest Damache and the five other co-conspirators in March of 2010.John Burns, “Irish Town Puzzled by Role in Investigation,” New York Times, March 19, 2010, http://www.nytimes.com/2010/03/20/world/europe/20ireland.html?ref=topics&_r=0. Because of her assistance, LaRose was sentenced to 10 years in prison rather than a life sentence.John Shiffman, “U.S. woman known as Jihad Jane sentenced to 10 years in plot,” Reuters, January 6, 2014, http://www.reuters.com/article/us-usa-jihadjane-idUSBREA050PC20140106. ExtremeSister4Life“United States of America v. Colleen R. LaRose a/k/a ‘Fatima LaRose’ a/k/a ‘JihadJane,’” United States District Court for the Easter District of Pennsylvania, January 28, 2011, 4. Fatima LaRose“United States of America v. Colleen R. LaRose a/k/a ‘Fatima LaRose’ a/k/a ‘JihadJane’,” United States District Court for the Easter District of Pennsylvania, January 28, 2011, 4. 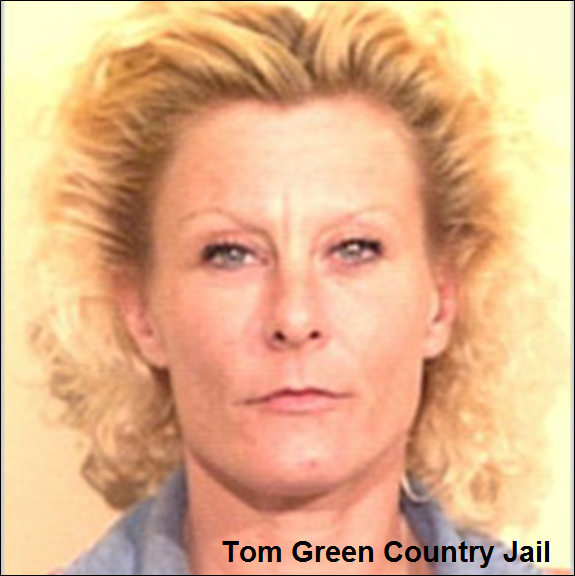 Jihad Jane“United States of America v. Colleen R. LaRose a/k/a ‘Fatima LaRose’ a/k/a ‘JihadJane’,” United States District Court for the Easter District of Pennsylvania, January 28, 2011, 4. SisterOfTerror“United States of America v. Colleen R. LaRose a/k/a ‘Fatima LaRose’ a/k/a ‘JihadJane’,” United States District Court for the Easter District of Pennsylvania, January 28, 2011, 4. Place of Birth Michigan, U.S.
Colleen R. LaRose is an American citizen and a convicted Islamic extremist. 10/16/2009: material support et al.